« Congratulate Missy and Carol, a new AHF Pet Partner Team! 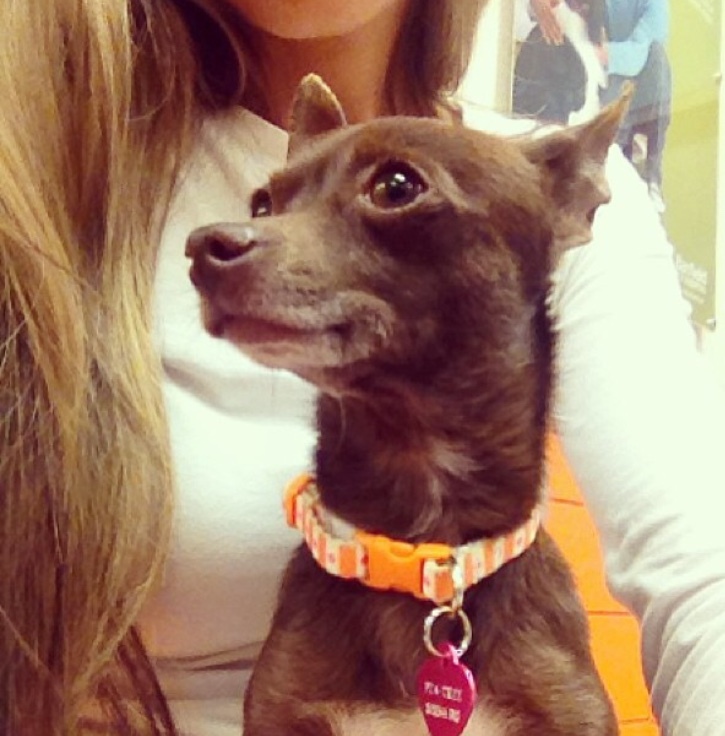 In June, 2013, Rebecca Martinez noticed a small dog running in the middle of the street near her Glendora home. “I tried to get her for a day and a half and I finally got two of my girl friends to come over and we were able to catch her,” she said in an interview. Through all this, the dog the family named Peatree was stealing the hearts of Rebecca, husband Jose and their two children. “Oh, yeah, I was attached to her already,” Rebecca said, “I just didn’t want to admit it.” The five-pound Chihuahua mix was one to three years old at the time, veterinarians said. Peatree had a congenital heart defect, left-to-right shunting PDA, but Rebecca and Jose, who works for a wire money transfer firm, have not been able to afford the surgery. The cost was $5,000, she was told. But Peatree is now four or five years old and is doing well. Two of her puppies are part of the family and the third one lives next door. “They’re all healthy and happy,” Rebecca said. She was told about Angel Fund by a friend of a friend, who runs an animal rescue center. “We maxed out two credit cards just for having the C-section and the after care,” Rebecca said. Angel Fund and Advanced Veterinary Care Center in Lawndale, where the Martinez family had taken Peatree to see a cardiologist, each contributed $500 to help defray the mounting costs. This entry was posted on Thursday, May 21st, 2015 at 7:37 pm	and is filed under Angel Fund Grant Recipients. You can follow any responses to this entry through the RSS 2.0 feed. You can leave a response, or trackback from your own site.